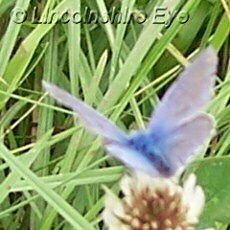 There are 56 species of butterfly in Britain. 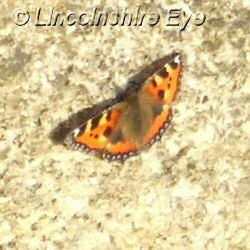 Partly due to intensive farming practices and loss of habitat, only a few of these species are present in Lincolnshire. 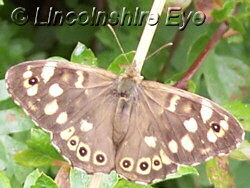 Pictured on the left is the speckled wood butterfly, one species that is relatively common in the east of England. Both butterflies and moths are in decline in the UK. However there are a few good places in the county to spot them. These include Gibraltar Point nature reserve near Skegness, Willingham Woods, and the Saltfleetby-Theddlethorpe nature reserve. 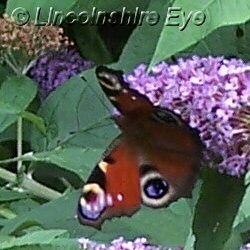 There's also a Butterfly and Wildlife Park in Long Sutton. 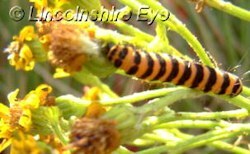 Pictured left are the caterpillars of the Cinnabar moth, feeding on ragwort. These striking yellow and black caterpillars are brightly coloured to warn predators that they are inedible. The adult form is also very conspicuous, with impressive red and black markings on its wings. 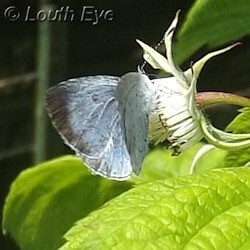 Pictured left is a peacock butterfly on buddleia, and to the right there's a common blue on clover. 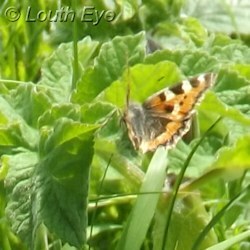 The orange butterfly below left is a small tortoiseshell. 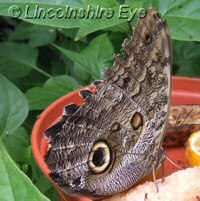 The Natureland Seal Sanctuary in Skegness includes a butterfly house which contains various species of large, non-native butterflies. It may not be clear from the photo, but the Owl Butterfly, pictured left, is about the size of an eight-year old child's hand. This picture was taken at Natureland. A gallery of images from Hubbards Hills past and present. Natural beauty faces off against the ugly side of technology in the battle for our attention. The colony of grey seals at Donna Nook is one of Lincolnshire's cutest wildlife spectacles. This seal sanctuary combines seal conservation and rescue with entertainment.